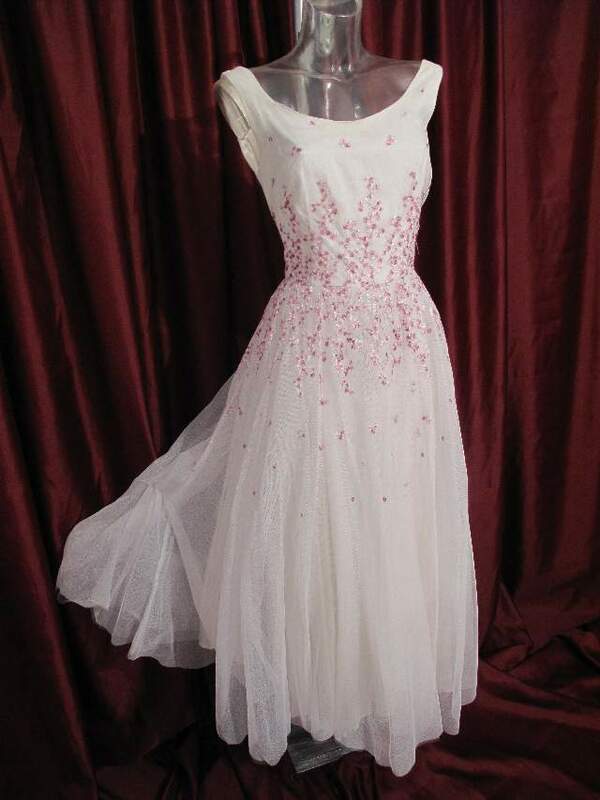 1990's/Contemporary 'vintage style' white tulle wedding dress. 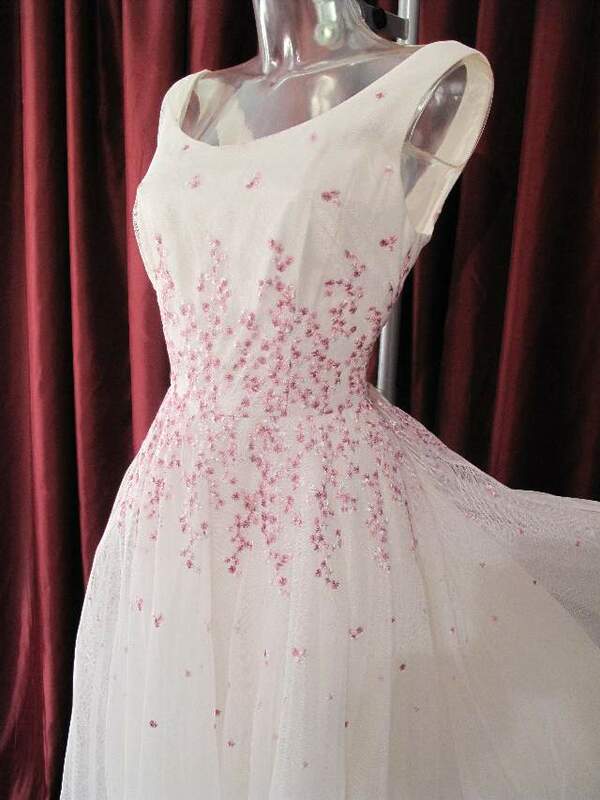 Although not strictly vintage, we have included this dress in the Secret Siren collection because it is such a classic fifties cut. 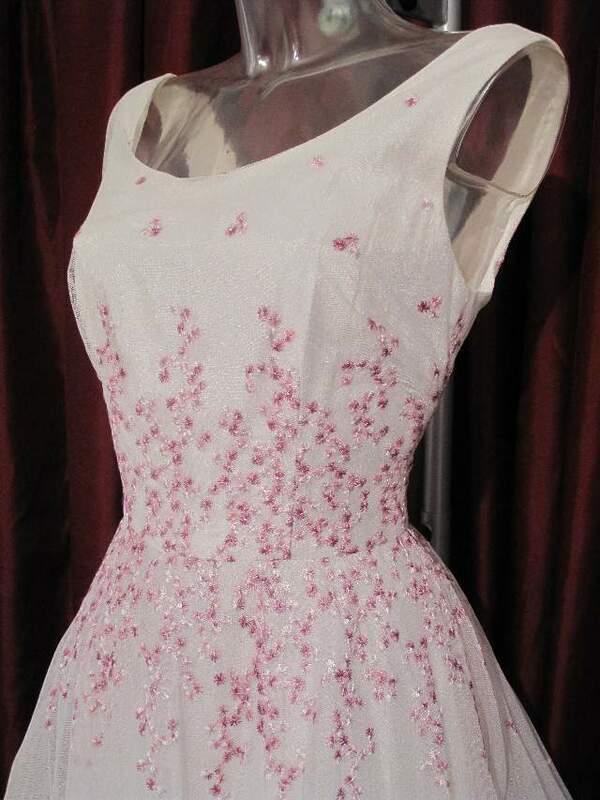 The bodice has a wide scoop neckline and 'V' shaped back. The skirt is full circular cut two layers of tulle, one layer of stiff net and satin acetate underskirt. 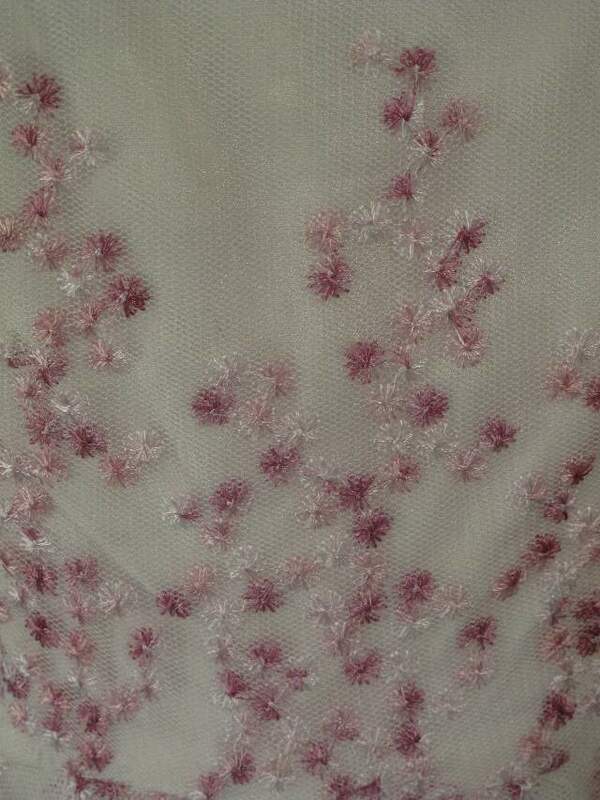 The dress is decorated with really pretty floral embroidery in shades of lilac and white. 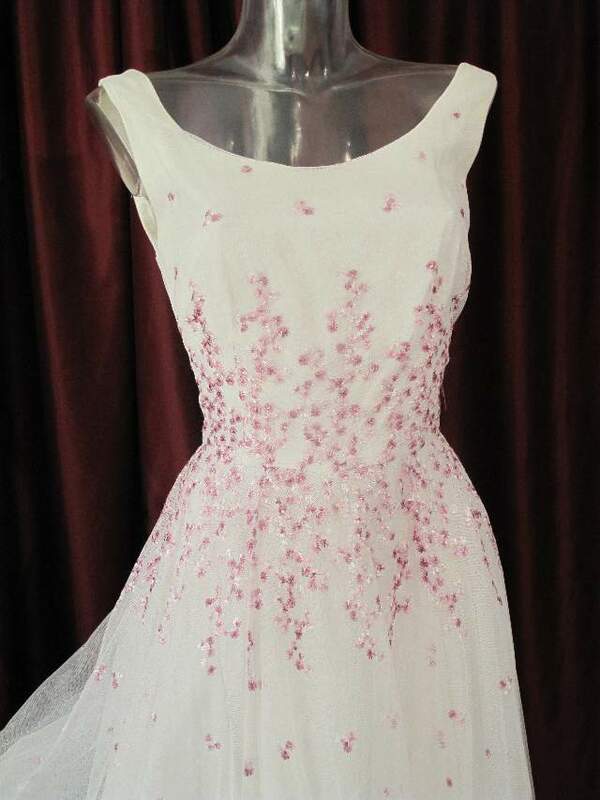 A great flattering dress, ideal for a summer wedding. Would look fab styled with a lilac orchid bouquet and white satin shoes, very Elizabeth Taylor.